Captain David Morgan, Director of Flight Operations at easyJet, has recently been named as an ‘Agent of Change’ by Management Today and the Women’s Business Council, for leading real transformation at easyJet and in the aviation industry through easyJet’s Amy Johnson Flying Initiative. 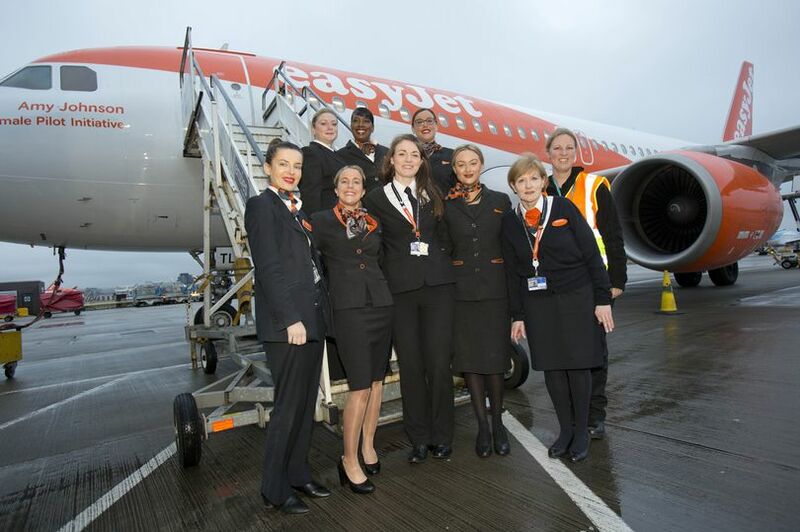 “easyJet is working hard to encourage more women to join this hugely rewarding profession and I believe that no other airline is doing more on this issue. Last week we announced a partnership with Girlguiding UK and the sponsorship of a new aviation badge to inspire young girls at an early age and our pilots have visited over 140 schools since launching the initiative to inspire the next generation of pilots. “According to recent research conducted with our pilot community, a lack of female role models is a key reason that many girls and women do not consider a career as a pilot. Having our female pilots out in force on International Women’s Day will provide visibility of female pilots and hopefully inspire some girls and women to take up this rewarding career. “The number of female pilots is too low. We want to see more women flying, and are working with industry to encourage more women to take up challenging and rewarding careers in the cockpit and across aviation. “Encouraging more girls to realise their potential is at the heart of the Government’s Year of Engineering campaign. We’re working with more than 1,000 partners, including easyjet, to bring young people face to face with engineering experiences and role models. “Having worked with easyJet in raising the profile of women in aviation the BWPA is delighted to see so many easyJet female pilots flying on International Women’s Day. The lack of visible role models is a key reason for the lack of female pilots in the industry, not ability, and we would be delighted if more airlines chose to engage with us in the way easyJet has to encourage women in to this rewarding career. “One reason there are currently so few women pilots could be a lack of visible representation – so often we’re shown men as pilots. This could be sending a message to young girls that if they want to work in aviation, it can’t be as a pilot. “That is why we’re pleased to see airlines such as easyJet taking a proactive stance on this with their Amy Johnson Initiative, as well as inspiring the younger generation through their partnership with Girlguiding. Since launching the Initiative in 2015, easyJet pilots including many female pilots, have visited over 140 schools and colleges to raise the profile of the career.